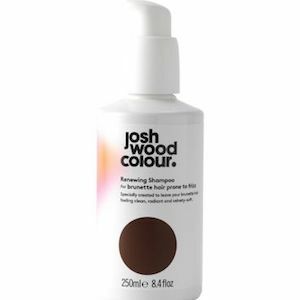 Join Greg and I from the Josh Wood atelier as we show you how I get my perfect blow dry hair... I adore Greg's technique- He always manages to get my naturally frizzy hair into sleek, shiny beautifully defined waves. 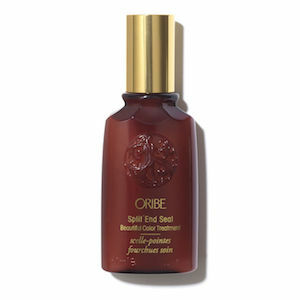 As I have a natural frizz and rather delicate hair especially towards the front of my head Josh starts by applying a little of the Oribe Split End Seal (£44) on the finest hairs towards my hair line. He then douses the roots of my hair with the Wella SP Style Resolute Lift (£16.50) to achieve maximum lift and volume. 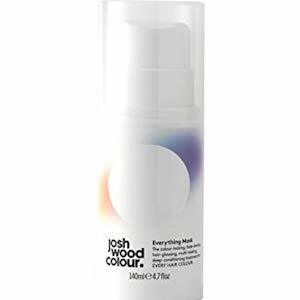 I wash my hair with the Josh Wood Renewing Shampoo Brunette Hair Prone To Frizz (£10), and also occasionally use the Josh Wood Everything Mask (£15) before coming to see Greg. He then makes sure that my hair is 80% dry and 20% wet after applying the products before he starts to dry my hair. This is essential to maintain healthy hair. Using a large comb he lifts the hair in the opposite direction to the way we want the hair to fall. This creates initial volume. In order to create the same effect at home, dry your hair upside down. To then create the wave, Greg wraps the hair around the brush in a spiral, leaving the ends out to dry straight. This method allows the hairdryer to smooth the hair and create a lovely wave.